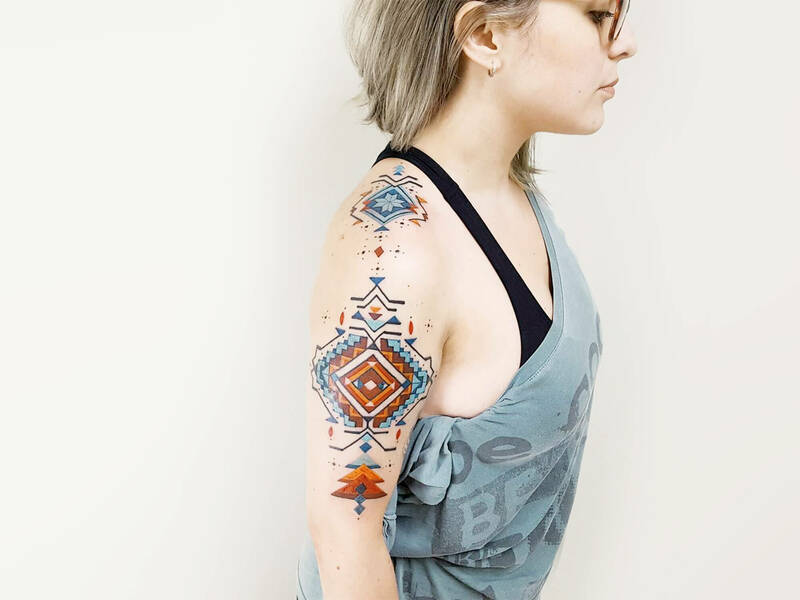 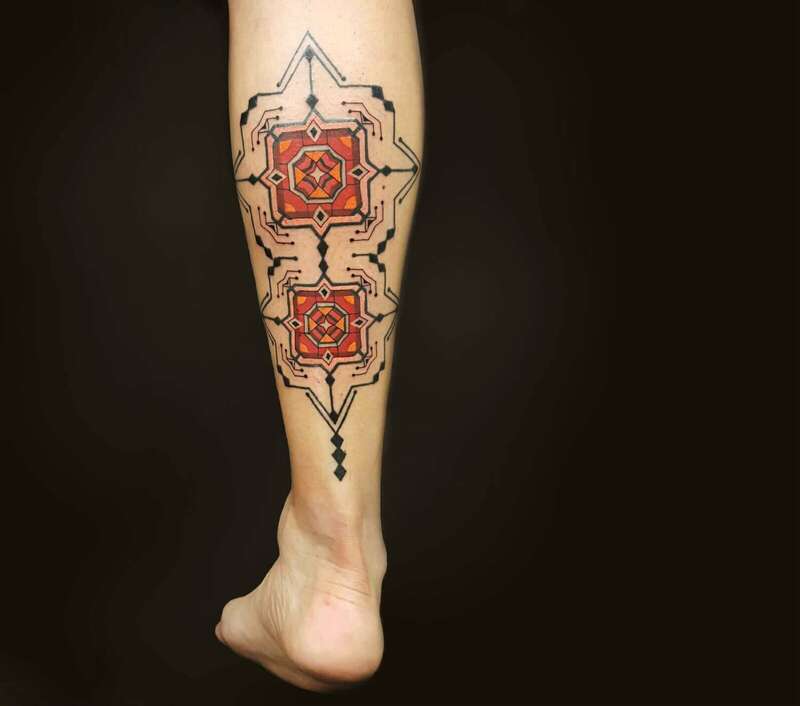 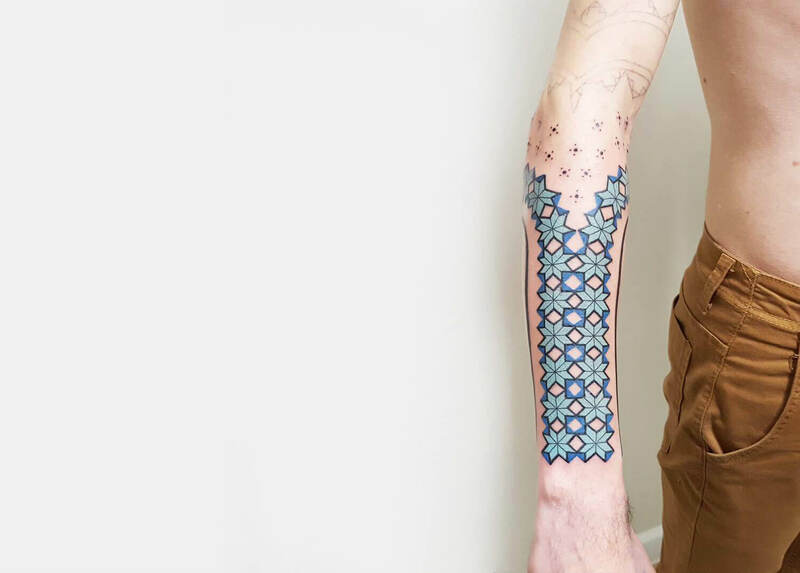 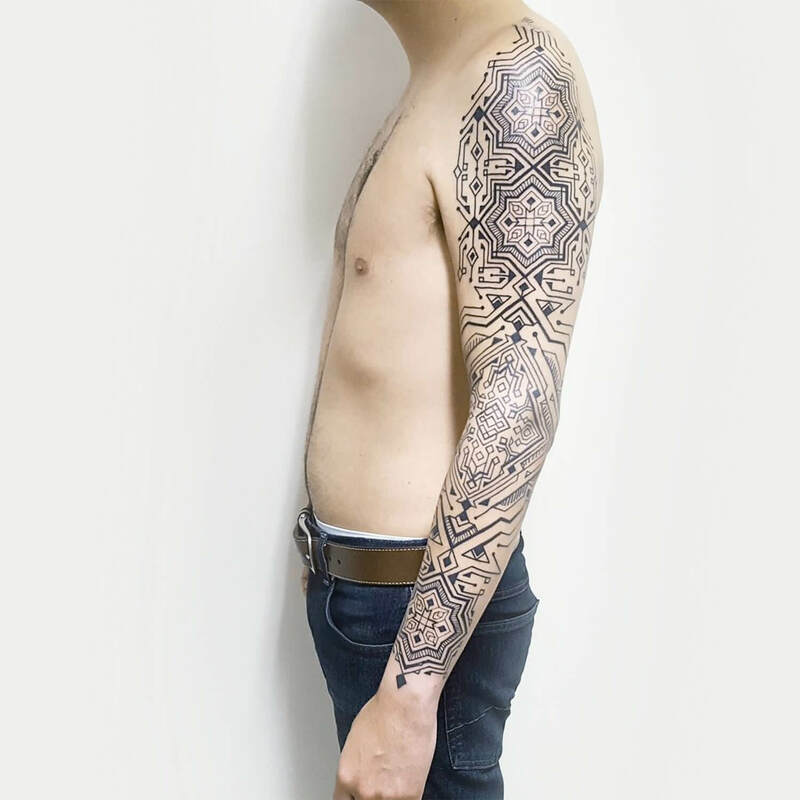 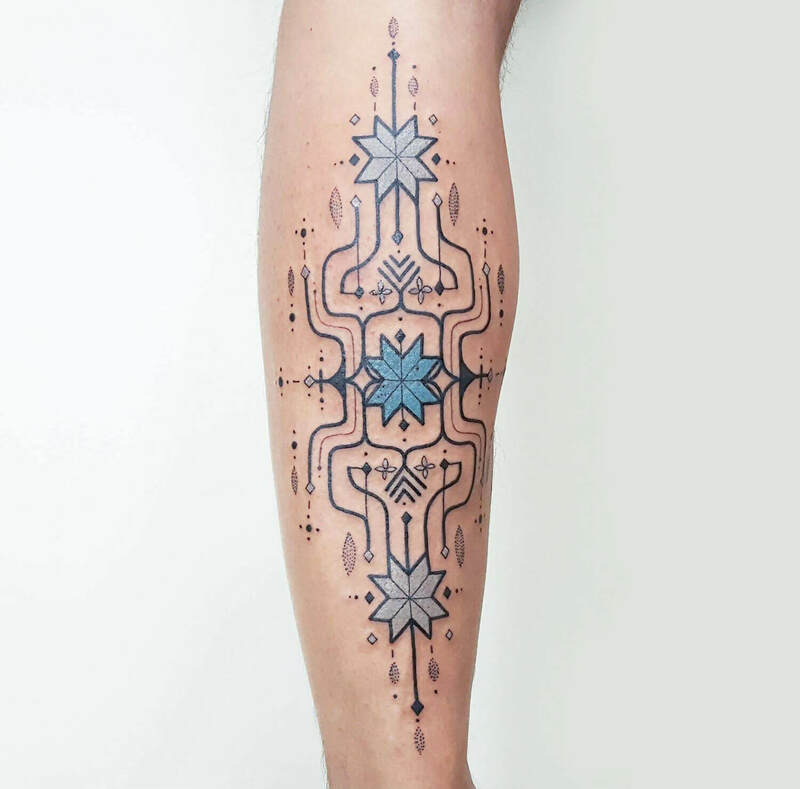 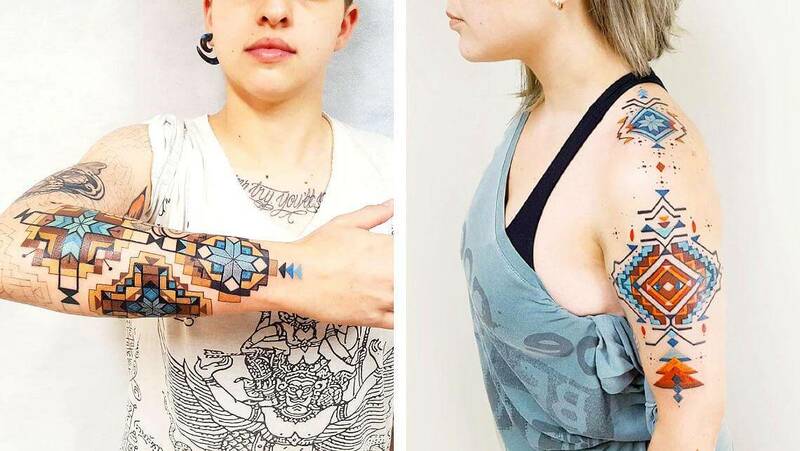 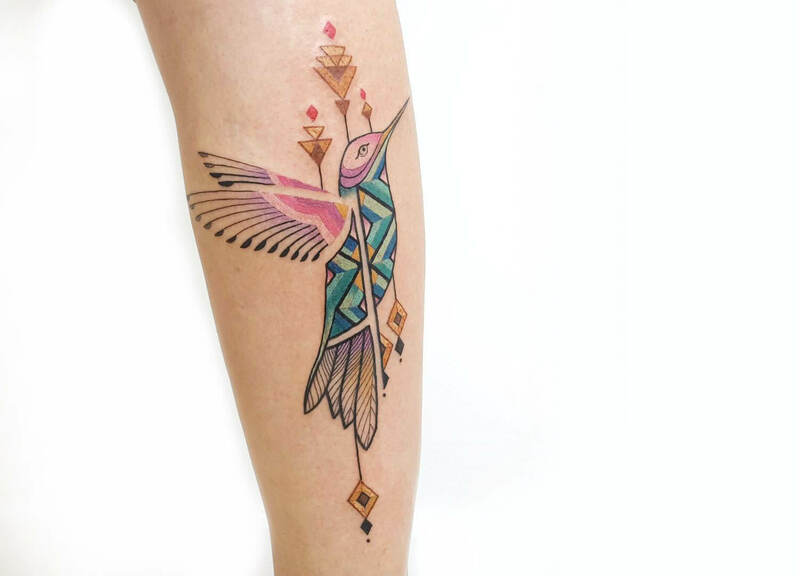 In the wealthy and assorted world of tattoo art, Brazilian artist Brian Gomes is creating his fabulous style sparked by hundreds of years of divine geometry and indigenous tattoos. 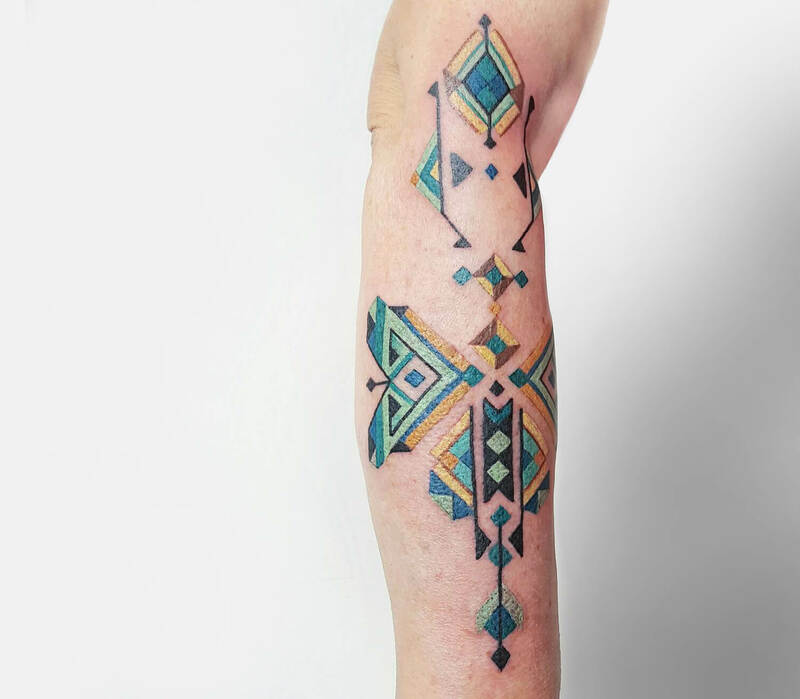 “I’m continually inspired by Brazilian native graphics, divine geometry, Islamic and oriental designs.” he tells. 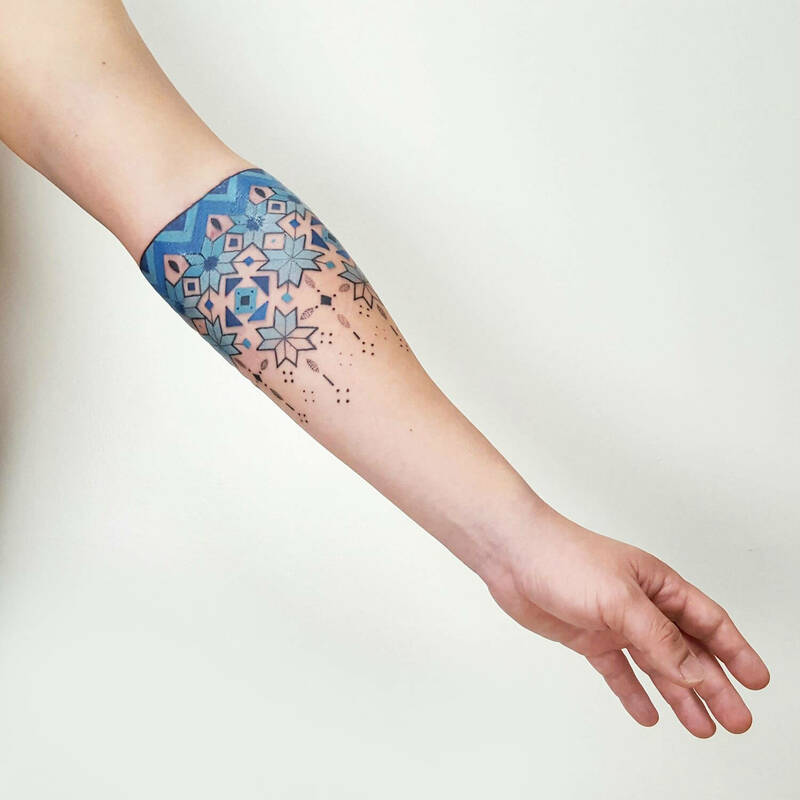 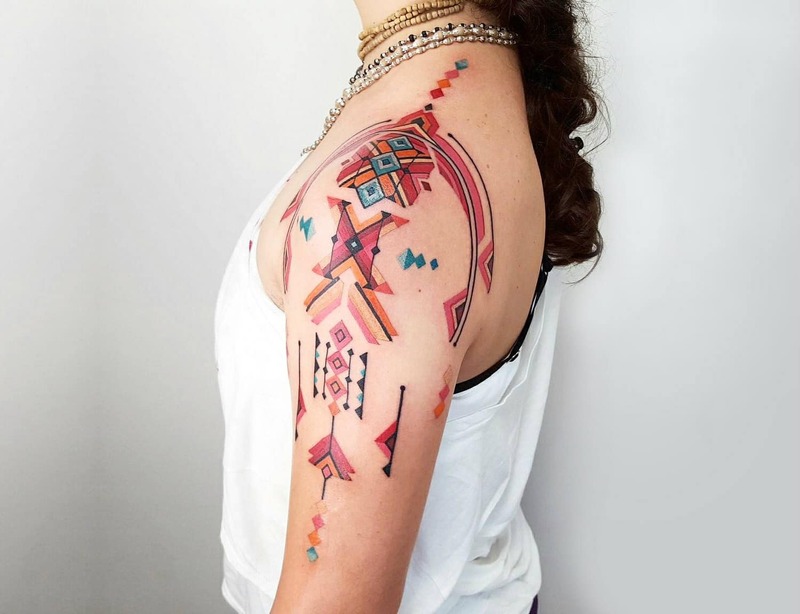 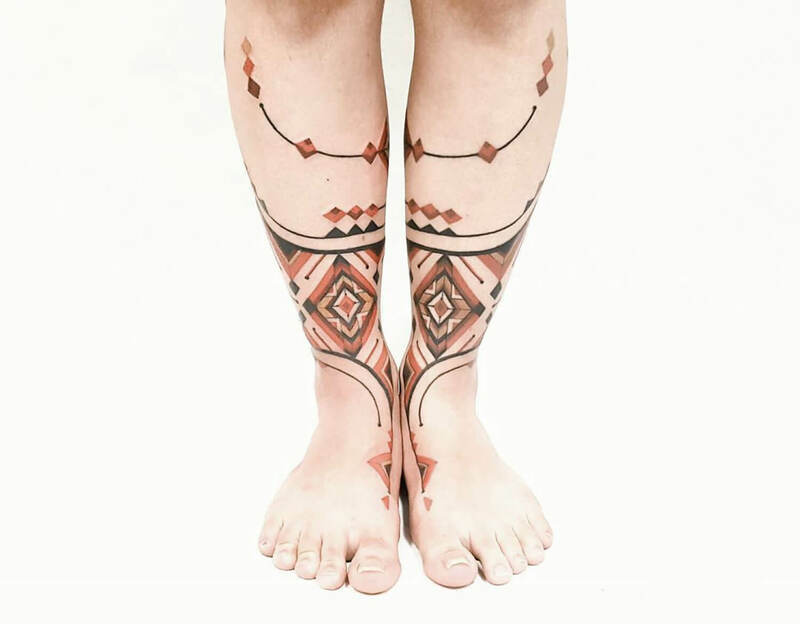 But above the visual nature of his tattoos, his work is also intrinsically connected to his education in shamanic philosophy. 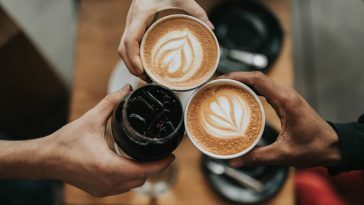 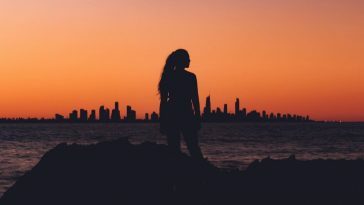 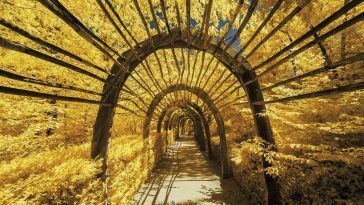 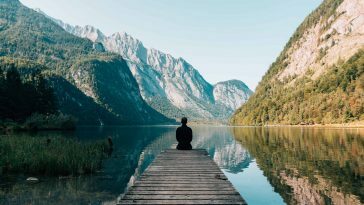 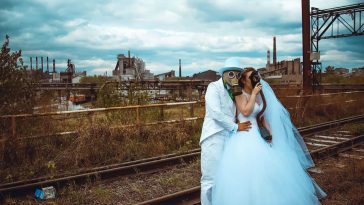 It’s a faith system that apprehends there is a religious world immediately linked to our physical one – that all material things have an internal spirit.